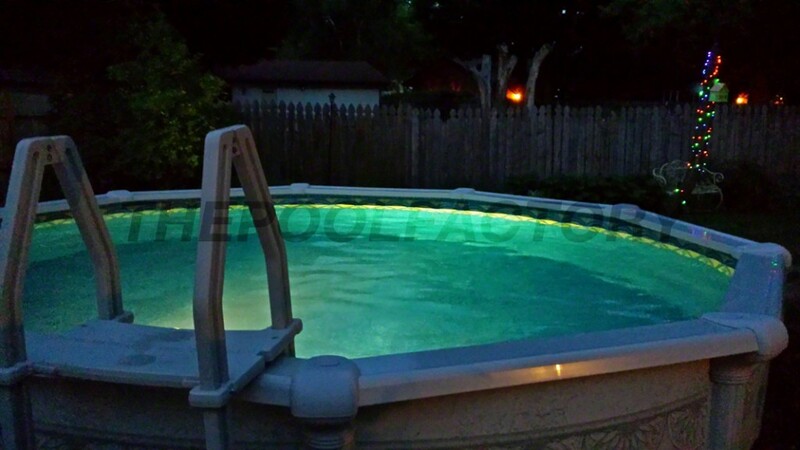 The Aqualuminator Above Ground Pool Light is one of the best accessories available for an above ground pool. It adds a great “built-in” light look without drilling additional holes into the wall. 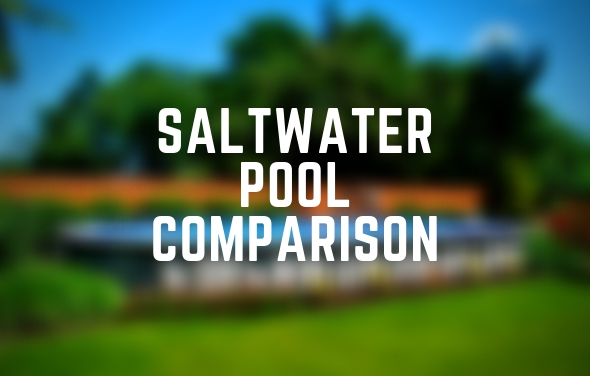 Since it attaches to the pool through the existing return cutout, installing and maintaining the Aqualuminator Above Ground Pool Light couldn’t be any easier. The replaces where the filtered water would normally shoot back into the pool through the “eyeball” or return jet. The Pentair Aqualuminator Above Ground Pool Light fits the existing water return line hole in most above ground pools. 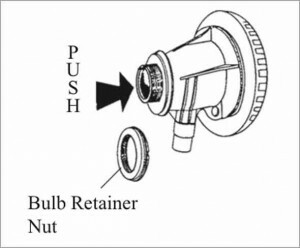 Remove the bulb retainer nut and push the bulb assembly out from the rear of the fitting body so that it will come out of the front of the fitting. 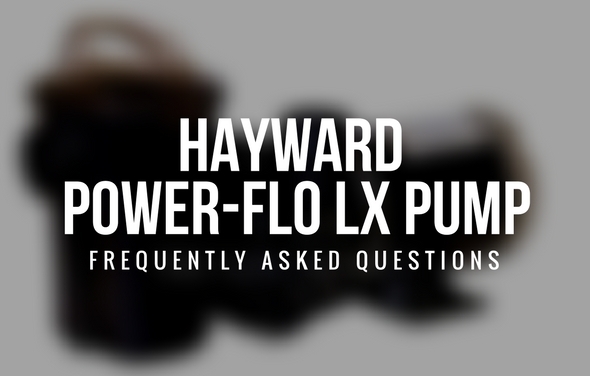 The flow director will come off along with the bulb assembly. Push the red cap/plug in the end of the bulb assembly. It will be removed later. 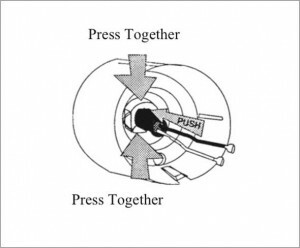 Unscrew the threaded wall flange from the fitting body by rotating it counter-clockwise. Use the thread seal tape provided. 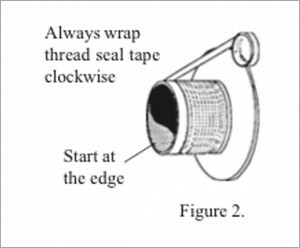 Snugly wrap the threaded wall flange in a clockwise direction (as viewed from the back) starting at the edge of the threads. Work towards the flange lip (overlapping 1/2 of the tape width with each wrap) then back towards the starting point. 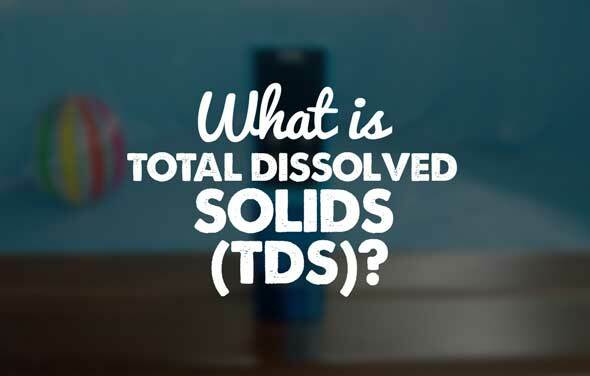 IMPORTANT: When removing your existing return, it is recommended to drain your water below the lowest point of the return cutout. 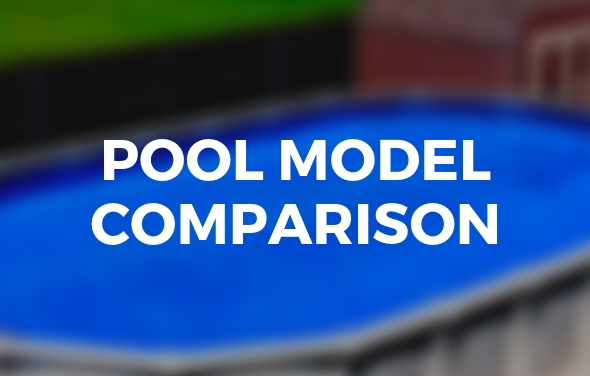 Attempting to remove either the skimmer or the return with a pool filled with water can lead to major liner complications. Push the old return fitting out of the wall from the outside of the pool. Insert the flange and gasket from the inside of the pool through the hole cut out for the inlet fitting. 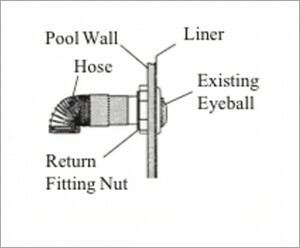 Ensure that the threaded wall flange is centered on the hole. 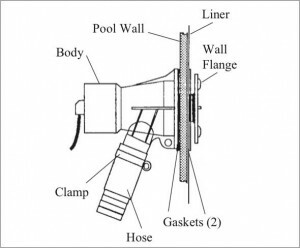 Take the remaining gasket and put it on the threaded wall flange from the outside of the pool. 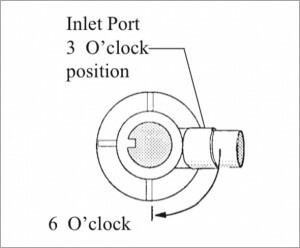 With the inlet port of the fitting body in the 3 o’clock position, place the fitting body against the threads of the flange and keeping the inlet port in the 3 o’clock position. Hand tighten the flange as tight as possible. Rotate the flange, not the body. To complete the tightening process, hold the flange in place and rotate the fitting body until the inlet port is in the 6 o’clock position. 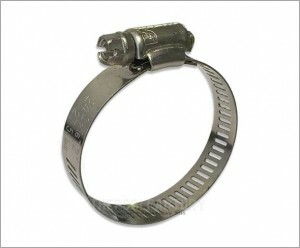 Take a hose clamp and place it over the return hose cuff. 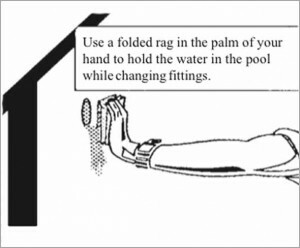 Slip the return hose from the filter, over the inlet port, and tighten the hose clamp securely. 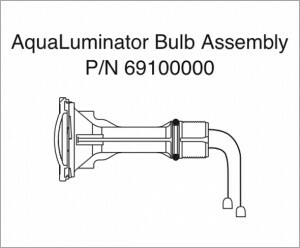 Take the bulb assembly and insert it through the flow director. Note the aligning keyway on the bulb assembly. The keyway must point in the same direction as the top key on the fitting body. 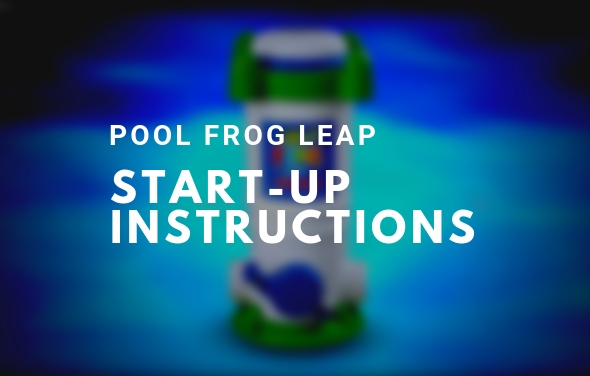 Now, from inside the above ground pool, push the bulb assembly and flow director with the red cap/plug in place into the fitting body until the bulb assembly/flow director are nearly flush against the inside pool wall. Thread the bulb assembly nut until it just touches the fitting body, then finger tighten. 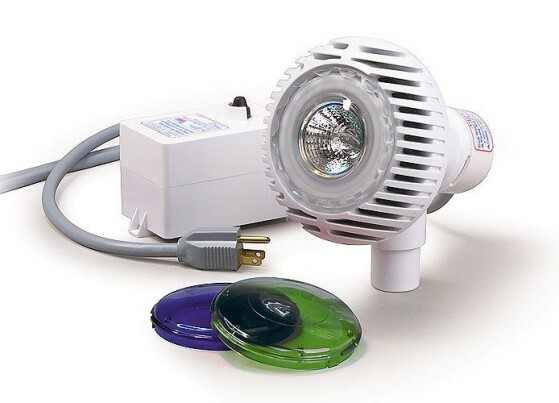 Take the red cap/plug off and gently bring the wire connectors through the back side of the bulb assembly. Save the red cap/plug for storage and winterizing. Connect the wire connectors from the bulb assembly to the wire connectors attached to the Snap-On cord cap. 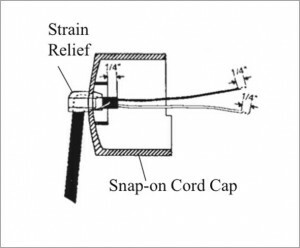 Snap the cap onto the end of the body and turn so that the electrical cord is pointing down. 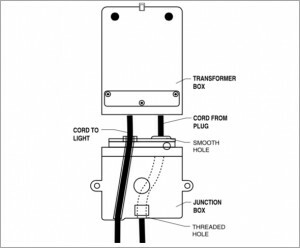 Plug the power cord and turn the light on by pressing the black button located on the transformer box. 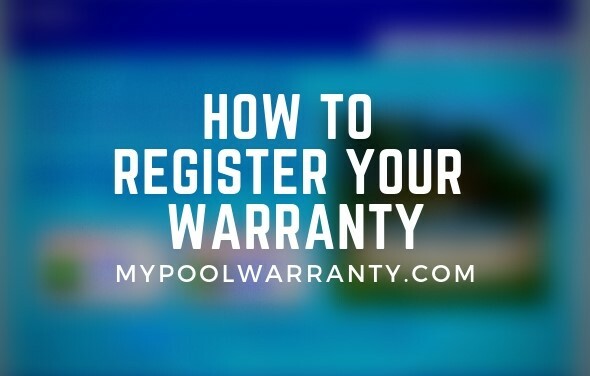 Although the initial installation is slightly more time intensive, after the setup changing the bulb assembly and winterizing the Aqualuminator above ground pool light is very simple. 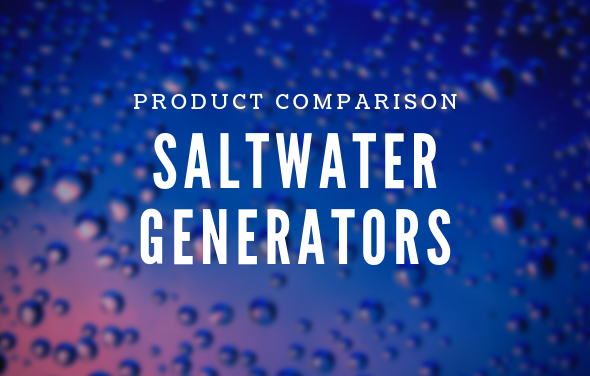 Check out our other blogs on the Aqualuminator for those procedures. These instructions were excellent! Very detailed and easy to understand. Thanks so much for sharing. No problem – glad we can help!